The full range of products developed by Kemitron, is based on decades of experience and funded knowledge in the field of cleaning, spa- and pool disinfection, which cover the different cleaning and disinfectant requirements of commercial, municipal and private swimming pools, steam baths, whirlpools and tubs, professionally and effectively. Our corporate philosophy provides the common principles for our product range, which obliges us to careful use of resources and the environment. 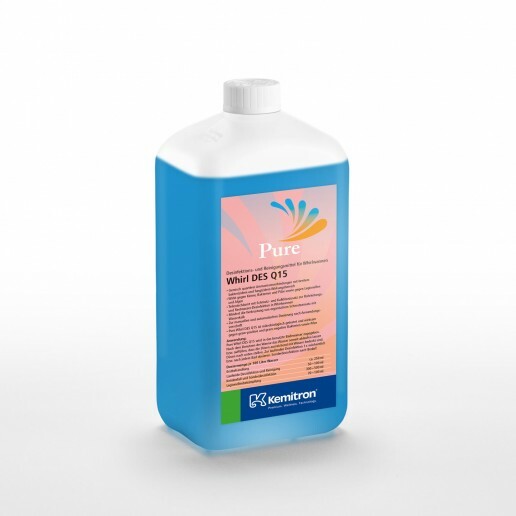 Therefore, you will get our cleaner and disinfectants only as concentrates, which can be diluted to different extents depending on the application area and the degree of soiling. The result is that only the actually required amount of cleaner is used. A regular end proper use of our products allows a higher dilution. In addition our Pure products are characterized by their productiveness and effectiveness and as a result for their economic viability. Effective disinfection and cleaning are the prerequisites for a perfectly hygienic environment! 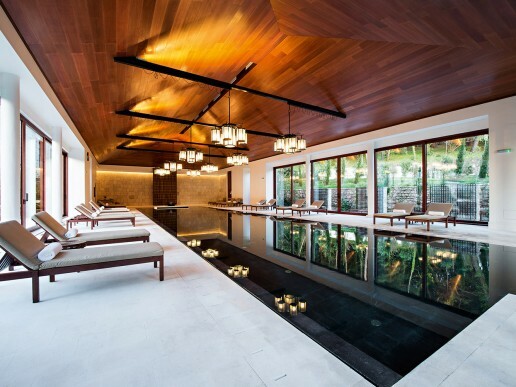 A meticulous and regular cleaning and disinfection is necessary in the whole spa- and pool area, since exactly this fi eld provides a favorable environment for various microorganisms as well as a related increased infection risk. By disinfection, those microorganisms are killed up into the pipe, conducts and therefore coatings and turbidity is avoided. It is also crucial to prevent algae growth, because among the more than 10.000 algae species there are some that feel very comfortable in the environment of spa and pool facilities. All algae species produce organic materials that are ideal breeding ground for bacteria and fungi. Our cleaning agents and disinfectant are intended specifically for these sensitive areas and provide you-if used as recommended-with the necessary protection. When our company Kemitron was founded in 1977, it started with high-quality products for the cleaning of private and local authority swimming pools, supplemented by water treatment and disinfectants up to analysis technology with an emphasis on photometry. By strict adherence to the superior quality of the products as well as continuous modernization and further development, the company expanded quickly also in European and non-European foreign countries. In the course of the years more product fields of the spa and wellness sector were added, therefore today Kemitron possesses a broad and comprehensive knowledge in this field. Professional spa operators, municipalities and private individuals with high standards of quality rely happily on our experience. The objective is, to offer the “truly best individual complete solution” and advise as well as support them with well-founded expertise in the area of sauna, wellness and spa. Make optimal use of our cleaning agents. To ensure the best cleaning results, specific processes should receive attention, and specific cleaners should be used – depending on the area to be cleaned. 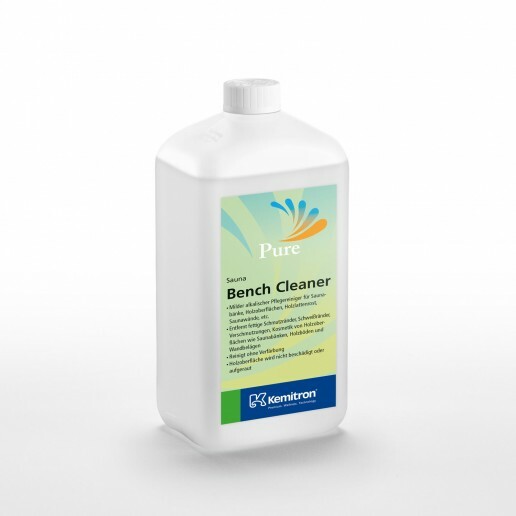 The sauna benches should be cleaned with the Pure Sauna Bench Cleaner on a daily basis in the mornings or evenings. Please rinse with clear water afterwards. If any cosmetics are applicated in the sauna, the sauna benches should principally be cleaned immediately. 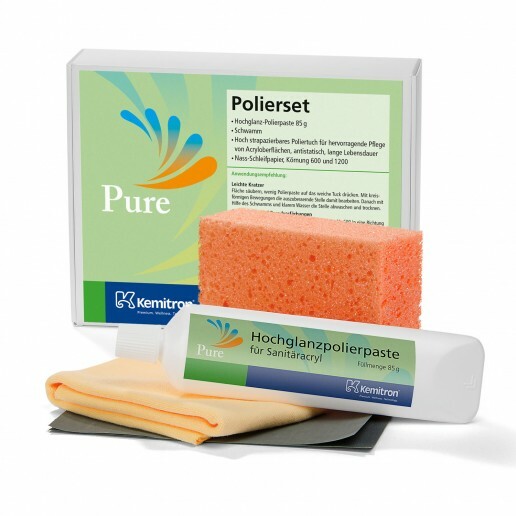 Here, you can also use the Pure Sauna Bench Cleaner, and always rinse with clear water afterwards. The wooden sauna walls, wooden slatted frames, and other wooden surfaces can be cleaned as required, and rinsed with clear water. The tiled floor of the sauna should also be wiped on a daily basis. For this use Pure Wisin. Walls, floors, seats, and fittings in the dressing rooms and the sanitary facilities in spas should be repeatedly wiped thorough for two consecutive times. For this please use our product Pure Wisin. 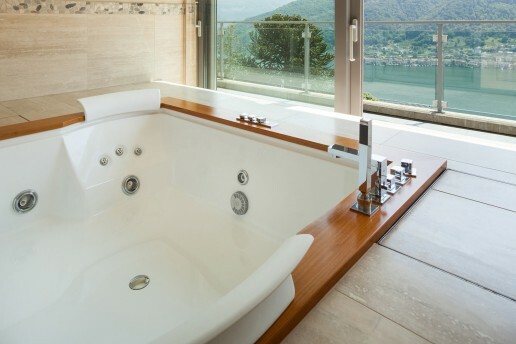 Maintenance and polishing of shower and bathtubs, whirlpools, Jacuzzis, hot tubs and treatment loungers of sanitary acryl and Corian. If required treat matt surfaces with the Pure Polishing Kit. This, you can also use to remove light do deep scratches as well as fire discolorations. In commercial spas, walls, floors, seats, and fittings in these areas should be cleaned thoroughly after closing time on a daily basis. For this please use our product Pure Wisin. Private users should clean this area after each application with our product Pure Spa + Bath Cleaner. Here also a thorough cleaning of the walls, floors and seats as well as the fittings is necessary. 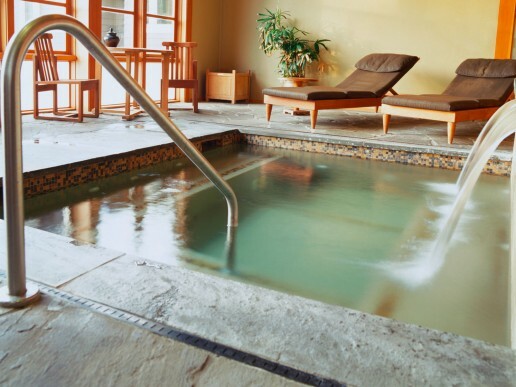 In private or commercial spa areas as well as hotel suites, whirlpools should be cleaned after each use. For this purpose, in a first step the pipelines of the whirlpool have to be cleaned and disinfected. Please use our Pure Whirl DES Q15 for this and note the reaction time of the product! Cleaning the visible surfaces is the second step. 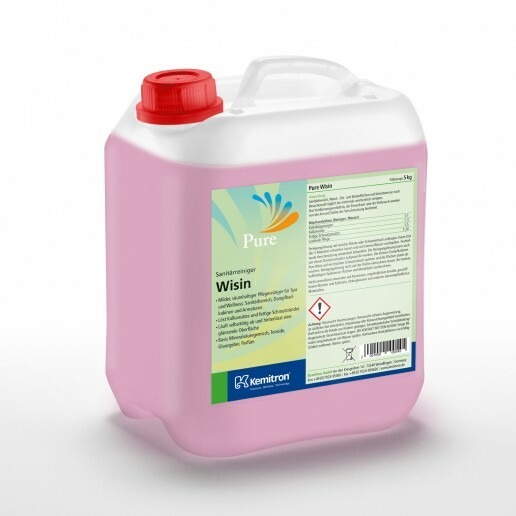 In commercial facilities wipe the tub with our product Pure Wisin. Private clients use Pure Spa + Bath Cleaner for this. 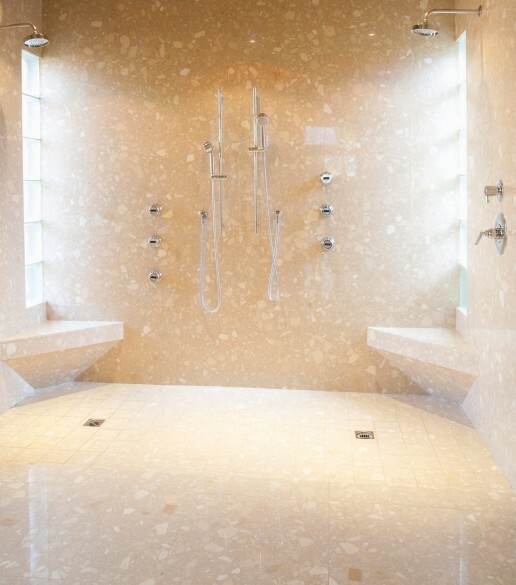 Steam baths and sole inhalation rooms in spa areas should be cleaned at least on a daily basis. This means cleaning of the walls, all seats, floors and fittings. Commercial users take our product Pure Wisin for this. To avoid calcifications in the steam bath and sole inhalation rooms, use Pure Wisin in higher concentration as for standard cleaning. Please follow the manufacturer’s directions of use on the bottle. After removing the calcification, it can be continued to clean with a higher dilution. 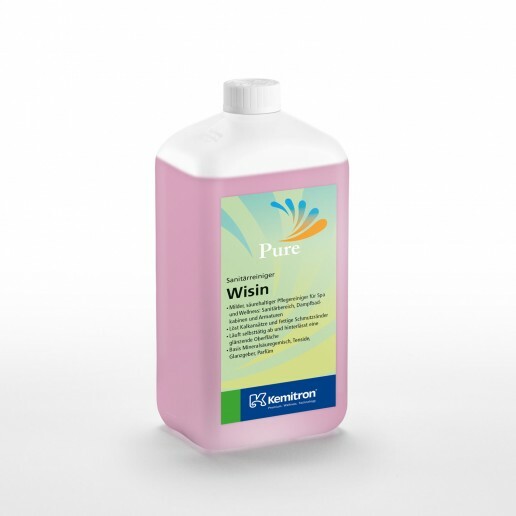 Calcifications can be prevented by wiping the walls with Pure Wisin on a daily basis. 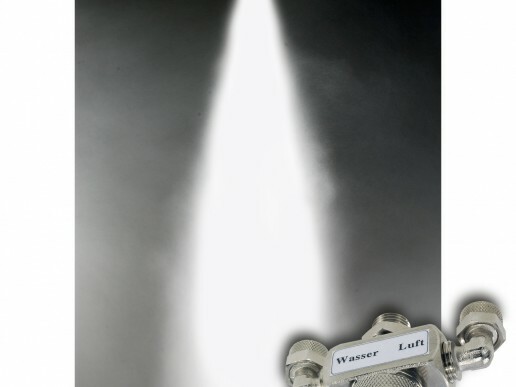 As a private user, the steam bath and sole inhalation room should be cleaned after each use. As long as the dirt and contamination is not dry, it is easier to remove. We recommend for this area our Pure Spa + Bath Cleaner.